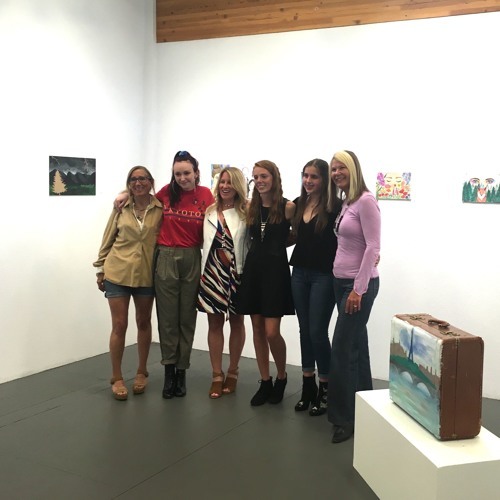 Jaden Costello (Basalt High School), Ashlyn Dunn (Aspen High School) and Anika Chapman (Roaring Fork High School), along with their respective mentors, Nancy Lovendahl, Nicole Nagel-Gogolak and Summers Moore share their program experiences in a short art talk led by Executive Director Genna Moe during opening night on 5/11 at the Charles J. Wyly Gallery at the Art Base. This exhibition is offered through The Claudette Carter ARTmentors Program—founded and directed by working artist Nancy Lovendahl—for high school juniors who are considering a career in the arts. This exhibition is generously sponsored by Good Works Foundation. This program is generously sponsored by Patricia Blanchet.